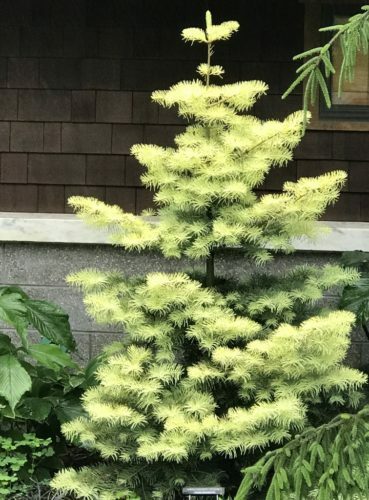 Abies concolor 'Frosty' new growth lemon yellow in full sun. Underside of needles tends to develop a pale grey green look while top of needles (in sun) retains a pale yellow appearance throughout the year. Thus, on sunny days the reflection from bright light tends to mute the color but on overcast bright days, the tops of the needles glow brightly. 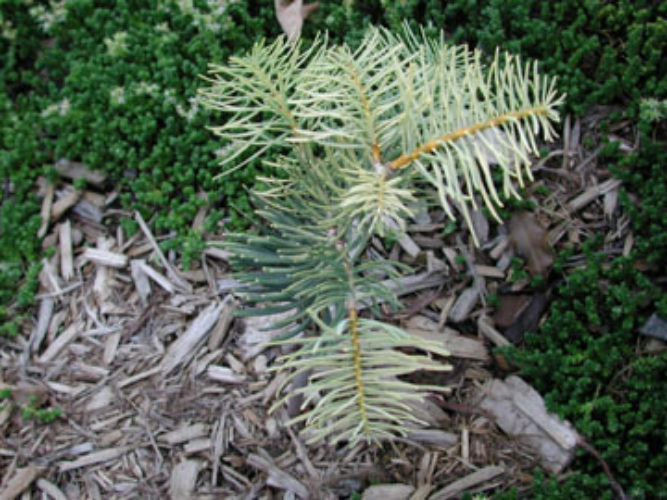 Needles turn pale grey green if grown in partial shade.